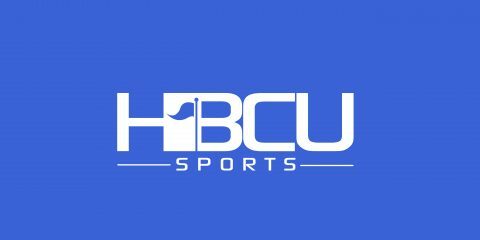 DURHAM, N.C. – Larry Brihm Jr. and Keavon Mitchell connected on a 48-yard “Hail Mary” as time expired as Bethune-Cookman pulled off an improbable 13-10 Mid-Eastern Athletic Conference victory over North Carolina Central Saturday at O’Kelly–Riddick Stadium. The Wildcats (6-4 overall, 5-2 conference) win their third straight game and clinched their second winning season in three years under Head Coach Terry Sims. North Carolina Central (7-3,5-2) was eliminated from the conference championship contention. For the second straight time in Durham, the two teams battled to a standstill only to see it end in a heart stopping finish – Bethune-Cookman won here in 2015 by blocking a blocked field goal on the final play. Chauncey Caldwell’s 4-yard pass to Xavier McCoy with 16 seconds remaining gave the Eagles a 10-7 lead, capping off a 61-yard march that included a fourth down pass interference call on Bethune-Cookman that kept the drive alive. However, a 15-yard celebration penalty put the Eagle kickoff 15 yards back. Mitchell’s return over midfield set up his and Brihm’s heroics two plays later. The Wildcats broke open a scoreless tie on Akevious Williams’ one-yard dive on fourth down with 6:44 remaining in the third quarter. Jamauri Laguerre set up the score when he recovered a fumbled Eagle punt return on the NCCU 28. Michael Jones’ 20 yard run gave the Wildcats first and goal. The Eagles got on the board with a 22-yard Aedan Johnson field goal with 13:19 to play. A penalty kept that drive alive, also, and gave the home team first and goal, but two stuffs on running plays and a Sam Marc pass break-up forced North Carolina Central to settle for three. The Wildcat defense denied North Carolina Central on two first-half scoring opportunities, one ending with an Elliott Miller interception while the Eagles blocked a Uriel Hernandez field goal attempt to keep it a scoreless tie at halftime. Kennedy Ndukwe had 11 tackles to pace the Wildcat defense. Brihm was 5 of 13 for 90 yards, with 59 of those going to Mitchell on two catches. Jones was B-CU’s leading rusher with 36 yards. The Wildcats face archrival Florida A&M next week in the Florida Classic in Orlando. WOW. I know Central is sick. On Senior Day too.